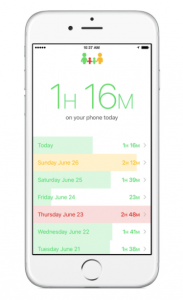 Arguably the most popular screen time tracking app, Moment tracks how much you (and your family!) use your phone and tablet each day, automatically. Find out how often you pick up your phone, what apps you use the most, and set daily limits for yourself and your family. Moment even lets you schedule screen-free time! Want your kids’ attention during family dinner? You can program an annoying alert that goes off every time Junior picks up his phone or tablet! 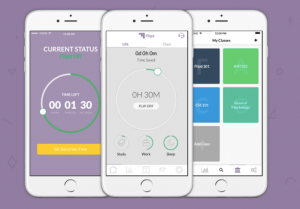 Once set up, Moment continuously tracks your phone activity; as long as the app is running in the background, you never have to open it again. 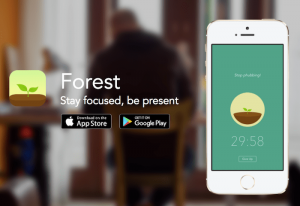 Combining the Pomodoro technique with gamification, Forest encourages people to “be present” by planting a virtual seed and watching it grow into a tree. The user can select the amount of time they want to stay focused on a task – whether it’s just 10 minutes or 2 hours – and the longer you can concentrate on the task, the more coins you earn that you can use to unlock new kinds of trees or even plant a real tree. If you drop your task and leave the app, your tree will wither. While the virtual gardening concept may sound silly, it’s a surprisingly effective yardstick to measure and visualize your productivity on a day to day basis. 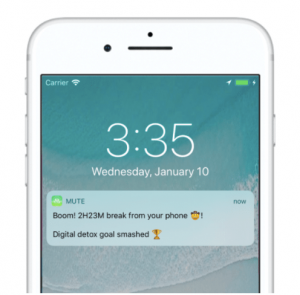 The goal of Onward is to achieve “Tech-Life Balance” via tracking, reporting and blocking so you can take control of your screen time. Whether it’s a Facebook, online gambling or shopping addiction, Onward helps you block problematic sites and apps and allows you to schedule reports that detail your overuse behavior in simple, easy to understand graphs. 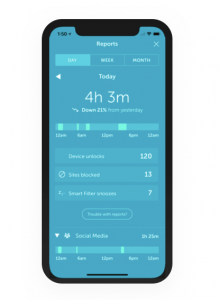 Created in conjunction with UCLA-based clinical advisors, Onward leverages the latest in data and behavioral science to bring behavior-changing solutions to smartphone addicts. Another popular distraction-blocking app, Flipd removes or blocks distracting social media, games, and other apps and lets you can set a timer so you can lock yourself out of all phone functions except for basic texts and phone calls. Designed primarily for classroom use, Flipd discourages students from using their phones while they’re in class and collects data to uncover trends around learner engagement and participation so teachers can discover whether their students are crushing algebra – or merely crushing candy.